If you love the Duke and Duchess of Sussex as much as we do, here’s a bit of news to perk up your week — Lifetime just released the first two images of Harry & Meghan: Becoming Royal, the sequel to the network’s wildly successful 2018 movie Harry & Meghan: A Royal Romance. But any astute fan of the royal family (and, we’ll own it, Lifetime) is sure to notice that the actors’ faces portraying Prince Harry and Meghan Markle look different in the new sequel. As the film stills show, Charlie Field and Tiffany Marie Smith step into the royal roles for this latest fiction fare. Just as the real-life Harry and Meghan made headlines over the last year for breaking tradition, Lifetime’s editorialized version of the couple will work through such transitional issues. “Beyond blending their families and cultures, Harry and Meghan’s core values are put to the test as they try to find the balance between honoring royal tradition and staying true to their beliefs,” reveals the press release, per People. In an interview with Vanity Fair, Smith and screenwriter Scarlett Lacey offer further insight into what the Lifetime sequel will and will not cover. Under the will-be-covered column is the royal wedding, the relationship between Meghan and Kate Middleton (“women can support women”), the royal couple’s new puppy, Queen Elizabeth and family drama galore. 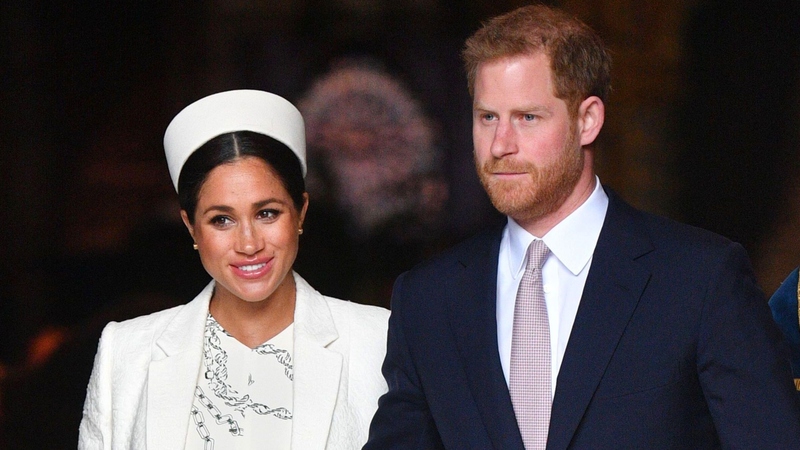 The TV movie will not include Harry and Meghan’s wedding reception or Meghan’s baby shower. Are you sufficiently psyched yet? Us, too. And happily, we won’t have to wait too long. Filming is reportedly already underway in Vancouver, and the movie is set to premiere on Memorial Day: Monday, May 27 at 8 p.m. ET/PT.